I love traveling and have always been fascinated with World Heritage Sites. Each site has been deemed to have either cultural or physical value by UNESCO – United Nations Educational, Scientific and Cultural Organization. There are nearly a thousand sites on the list and each one is amazing. Since visiting more than a handful is unlikely, I chose fifteen to highlight as my imagination traveled eastward around the globe. The Sketchbook Project is kicking off its 2014 tour tonight in Brooklyn, NY before it heads out to visit over 20 cities! My sketchbook and many others will be safely packed in the mobile library and towed from city to city where the public can check out one or more to view in person. Check out the tour page to see if they’ll be in a town near you! But don’t fret, if you go online you can look through plenty of sketchbooks as many of the artists have chosen to have their sketchbooks digitized too! Visit the digital library and just have fun searching various criteria; I’m positive you’ll enjoy the variety of all the projects! 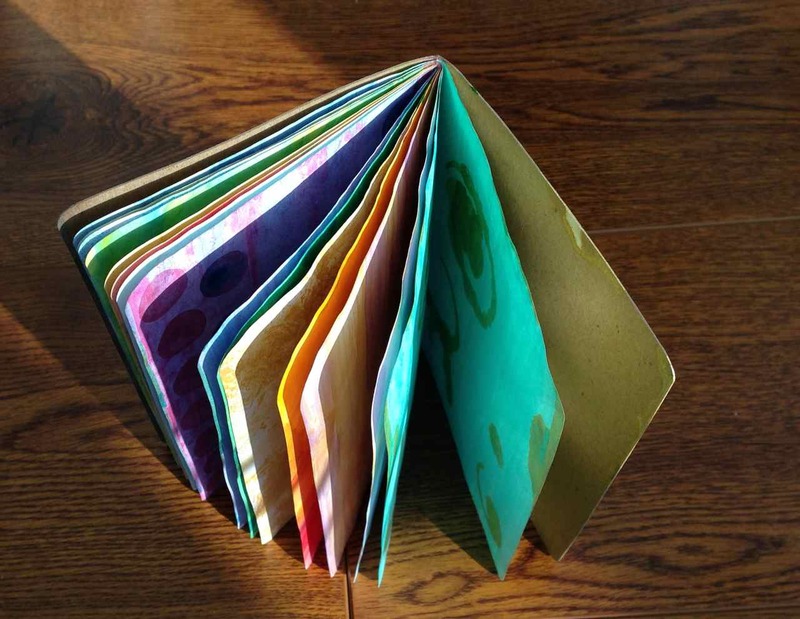 This entry was posted in Sketchbook Project and tagged Atlas of..., Book Arts, Sketchbook Project by Dana Burrell. Bookmark the permalink.